"Complementary" and "alternative" are words used for a wide range of healthcare therapies and products outside of mainstream conventional medicine. People who have cancer often look at these options for a variety of reasons. When making decisions about any of these types of treatments, it's important that you're fully informed and seek the advice of your doctor. If you're already taking complementary products, it's important to tell your medical team. This is because your treatment may suppress your immune system, making some complementary medicines, such as raw or powdered products, unsafe. Some complementary products may also affect how your treatment works. 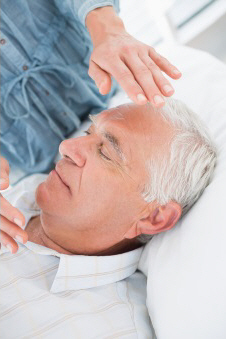 Examples of complementary therapies include relaxation therapy, yoga, meditation, aromatherapy, reiki, music therapy, tai chi, and massage therapy. These can help you deal with the emotional and physical impact of the disease and treatment side effects. What is the product or therapy and how can it help me? What is their experience of treating people with my type of cancer? How many other people with this cancer have used this treatment? Has it been tested in clinical trials? If it has been tested in clinical trials, have the findings been published and are they available for me to read? How much does the treatment cost? Can I afford it? Can this treatment be combined with my conventional therapy? How long should I have the treatment and how will I know if it's working? Under what conditions was the product prepared? For example, was it prepared in a backyard factory where there may be no infection control procedures and ingredient monitoring? Eating nutritious food will help you to keep as well as possible during treatment. There are no special foods, diets or vitamin supplements that have been scientifically proven to cure cancer or stop it from coming back. Many alternative diets, especially those that cut out food groups such as meat or dairy products, may not give you the nutrition (especially protein) that you need. As a result, you might lose weight and become very tired. These diets could also damage your immunity. This section explains the difference between alternative therapies and complementary therapies, looks at different traditional medicines and gives links to websites where you can get more information. You can also download and print a PDF of this information. Detailed answers to many questions such as: What are complementary and alternative methods? What kinds of cancer treatment are there? and What are the risks of not using mainstream cancer treatment? National Cancer Institute (USA) – What Is complementary and alternative medicine? General information about complementary and alternative medicines. Information about specific complementary and alternative medicines. You can browse specific products, read frequently asked questions, or search for what you want. Cancer Society – Complementary and alternative medicine, retrieved 15 June 2018.